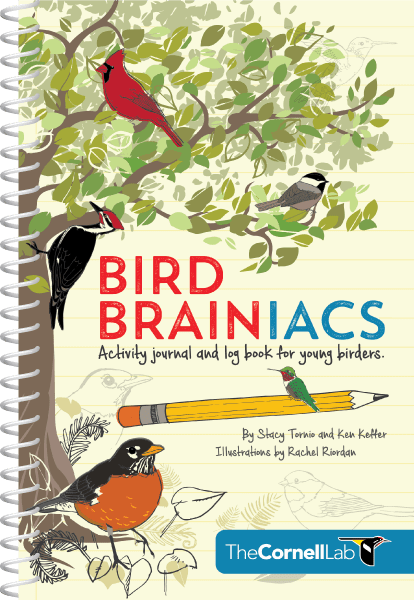 You can participate in many great bird-watching programs like Project FeederWatch or the Great Backyard Bird Count. 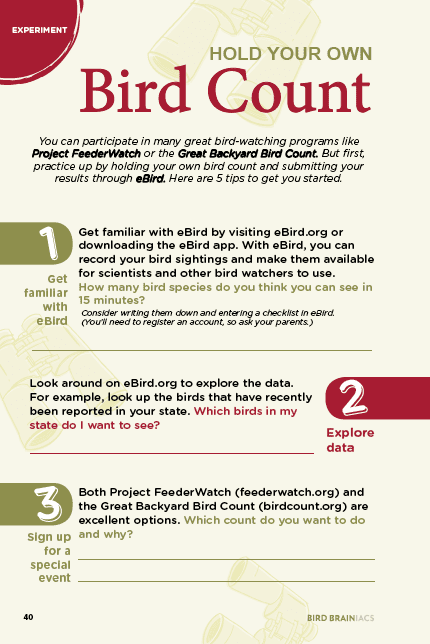 But first, practice up by holding your own bird count and submitting your results through eBird. 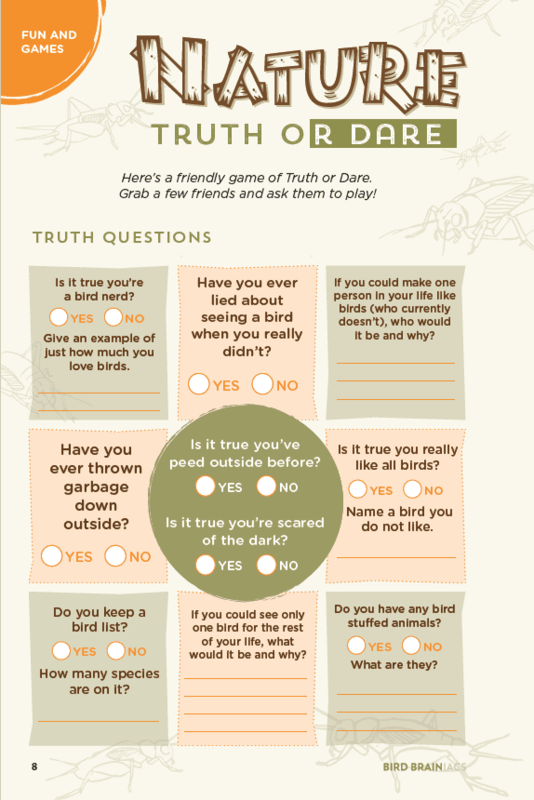 Here’s a friendly game of Truth or Dare.Grab a few friends and ask them to play! Spending more time looking at birds is one way to improve your birding skills, but it’s not the only way. 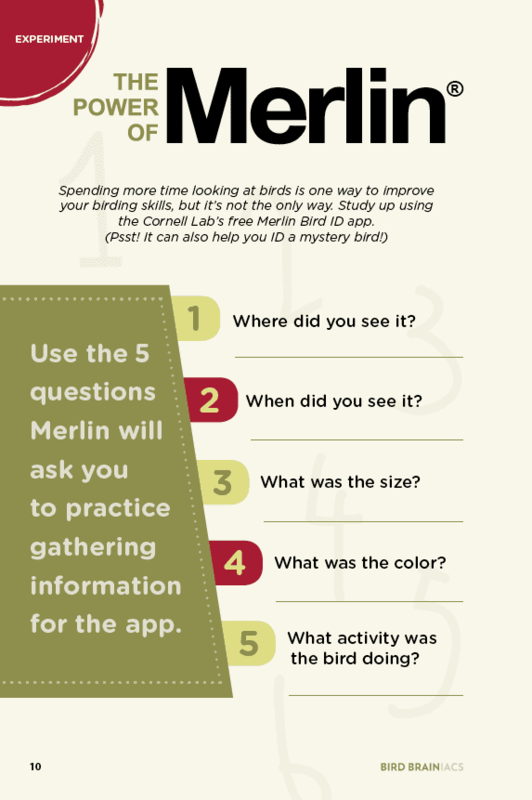 Study up using the Cornell Lab’s free Merlin Bird ID app. 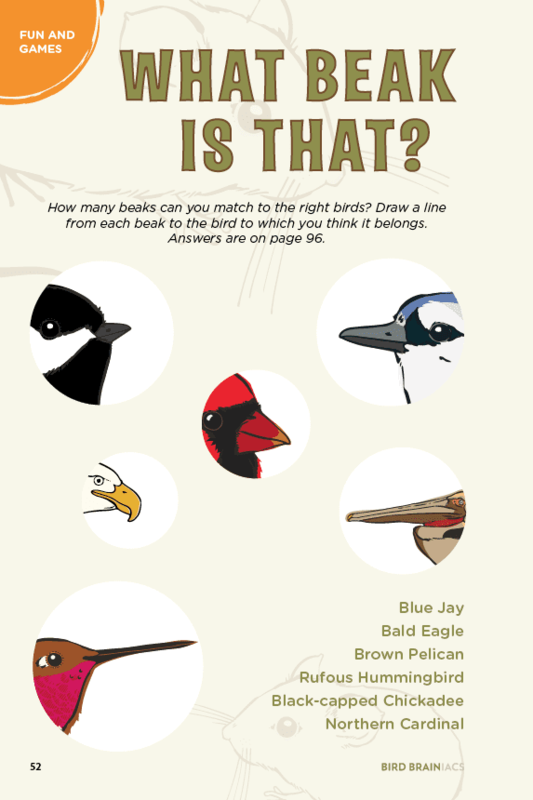 How many beaks can you match to the right birds? Draw a line from each beak to the bird to which you think it belongs. 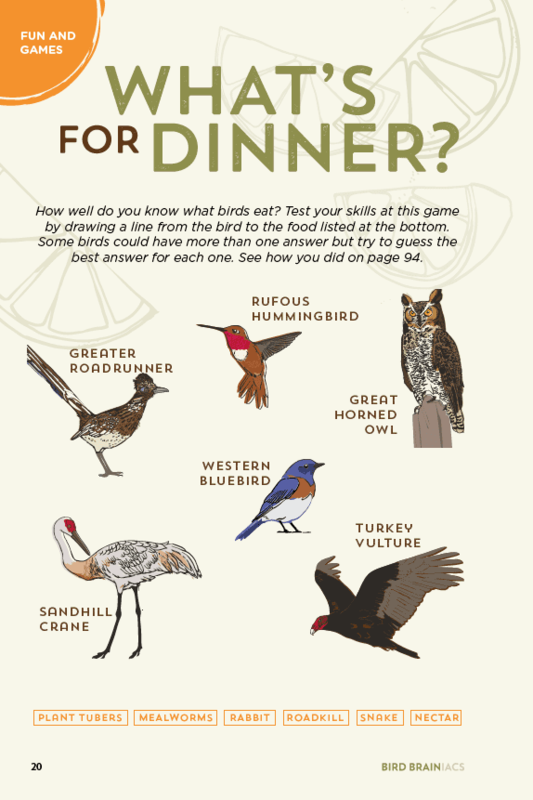 How well do you know what birds eat? Test your skills at this game by drawing a line from the bird to the food listed at the bottom. Some birds could have more than one answer but try to guess the best answer for each one. 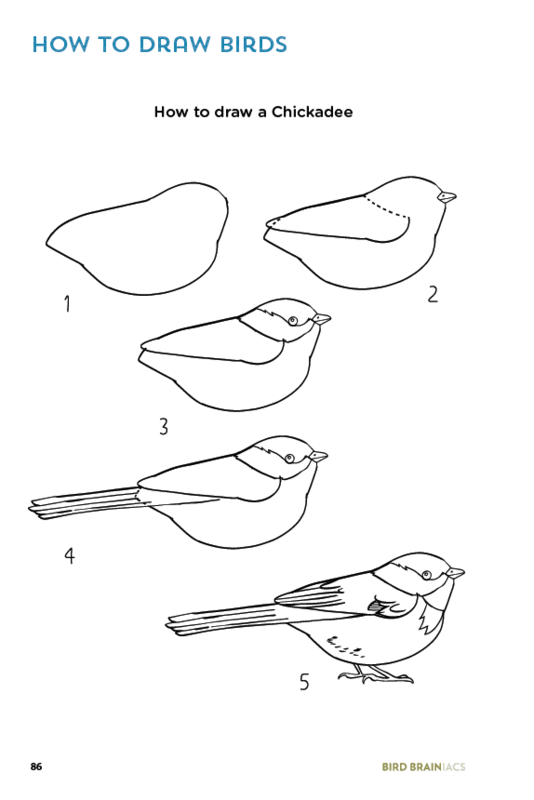 Learn how to draw a Chickadee. 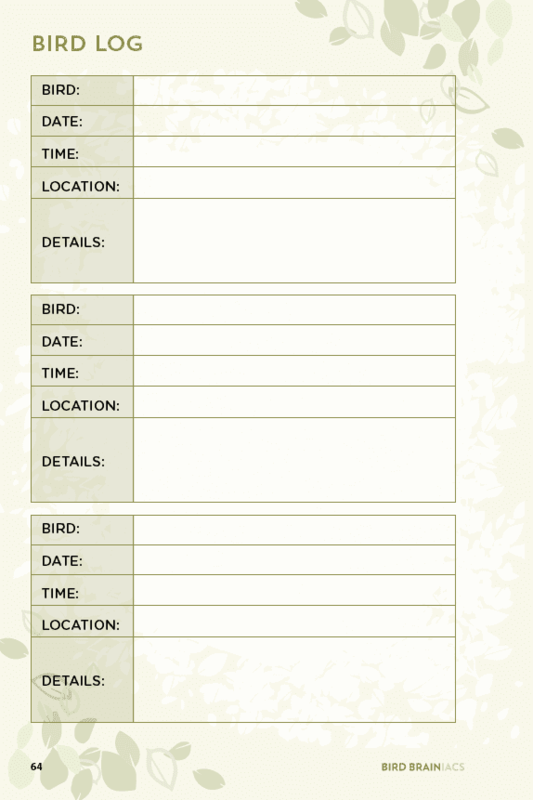 Record your bird sightings and notes on your own birding log pages.